You deserve a springtime reward. 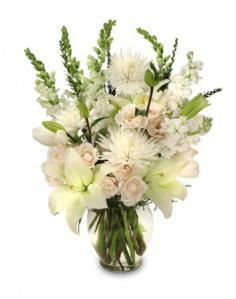 RAINFOREST FLOWERS will design a glorious bouquet of spring flowers for your home. Bring in the spring sunshine with a vase of daffodils. Capture the fresh breeze of a spring day with a basket of flowers. Celebrate the simple pleasures of spring with blue iris, pink gerbera daisies or rosy tulips. Feel the day's delight with spring flower arrangements. Everywhere you turn in The Woodlands, TX the revival of spring is felt. 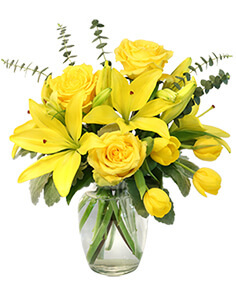 RAINFOREST FLOWERS has a charming collection of spring flowers waiting to brighten your day. There's no denying it, the flowers of fall show the most fabulous color displays in nature. Who wouldn't want to bring these ruddy reds, deep browns and pumpkin-colored arrangements indoors? Flowers are easy decorations for spontanious fall parties. Maybe you know someone who needs a little uplifting? 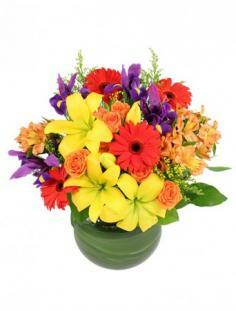 Let RAINFOREST FLOWERS help you send fall flowers in a variety of autum colors. Let RAINFOREST FLOWERS take your breath away with the beauty of winter flowers. Hollies, pine, cedar and poinsettias are all traditional winter favorites. Send an all-white floral design to remind one of fresh snow. Get festive by adding ornaments to your winter flowers. Winter flower arrangements make the perfect centerpiece for any seasonal party. 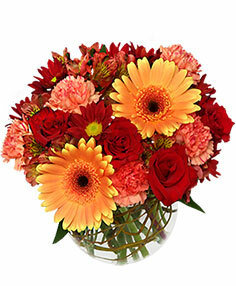 Make someone's day by sending them beautiful winter flowers from RAINFOREST FLOWERS.